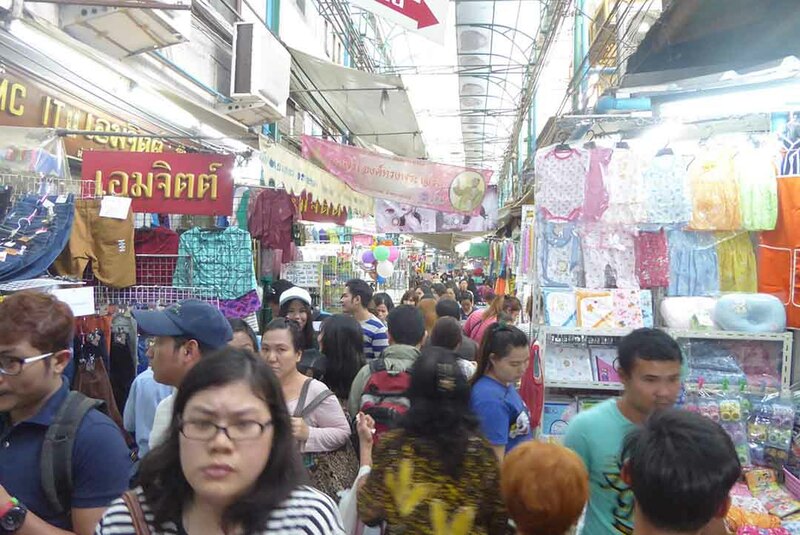 Sampeng Market in the heart of Chinatown is one of the oldest markets in Bangkok. 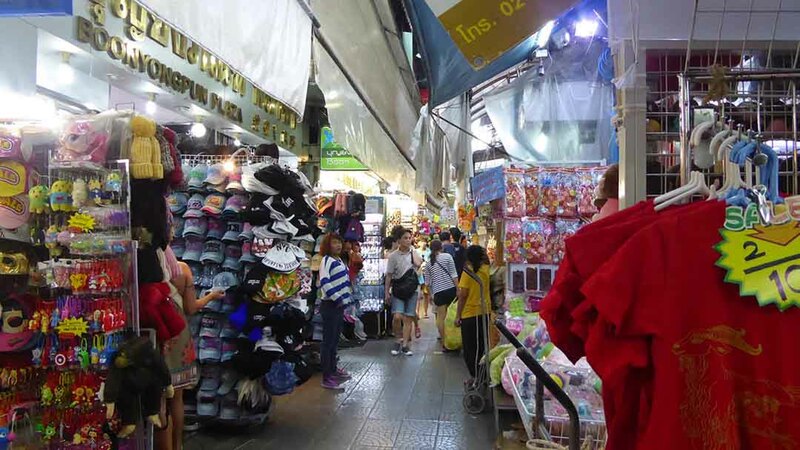 The heart of the market is Soi Wanit 1, a narrow alley with more alleys and streets spread around it selling just about everything you can think of. 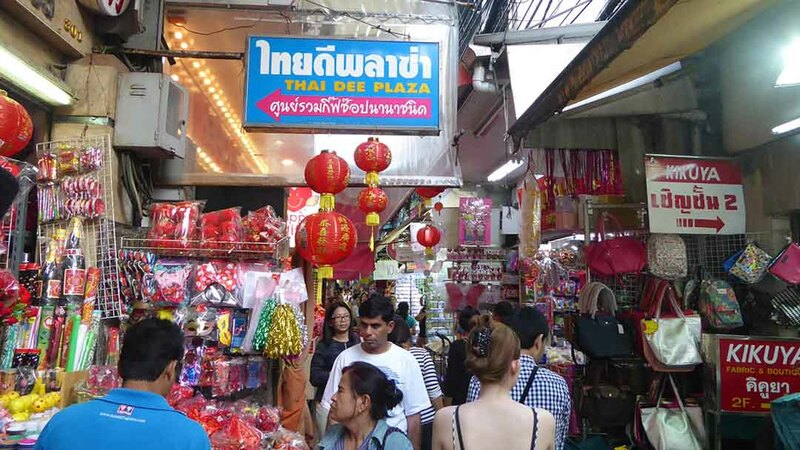 Sampeng is both a wholesale and retail market and many small traders buy their stock here. Prices are cheap especially if you’re buying in bulk. 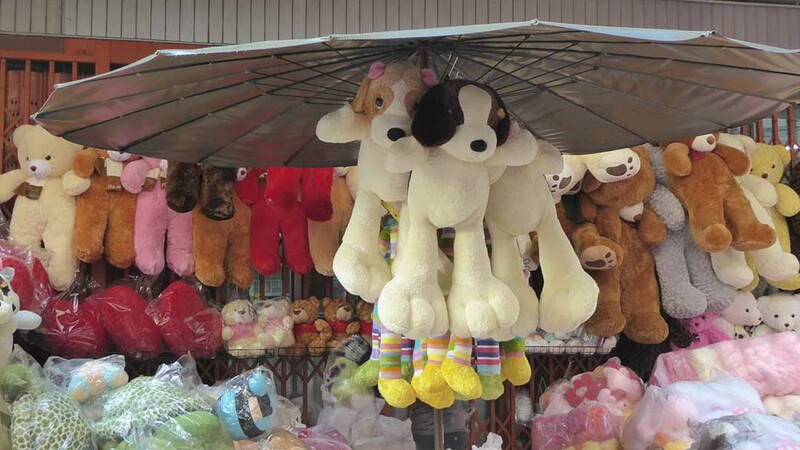 The massive variety of products you can find in Sampeng Market include cheap fashion clothing and accessories, fabrics, shoes, all types of bags, fashion Jewellery, wallets, purses, cosmetics, pens, stationery, tools, gifts, toys, and souvenirs. If you are a shoe addict, then you’ve found shoe heaven. 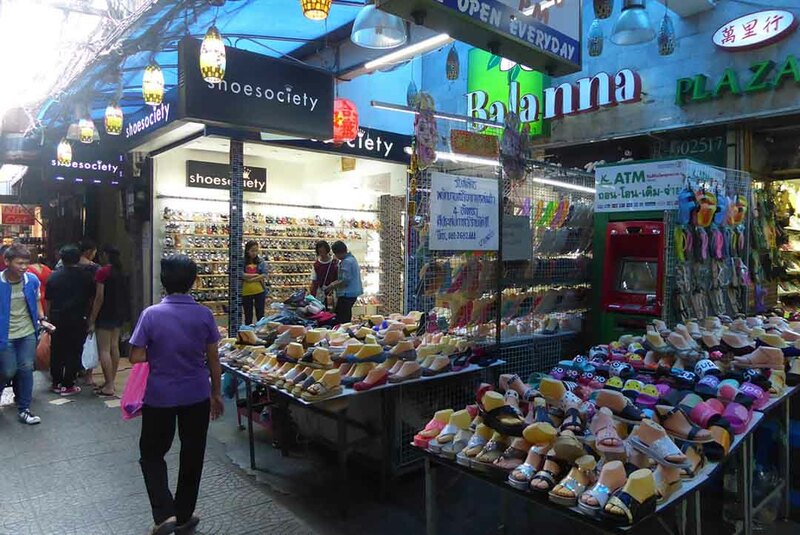 There are over 70 shoe shops in Soi Phadung Dao, Soi Yaowaphanit and Soi Phat Sai continuing into Soi Wanit 1. Most of the shops sell ladies fashion shoes with only a few shops catering to men. 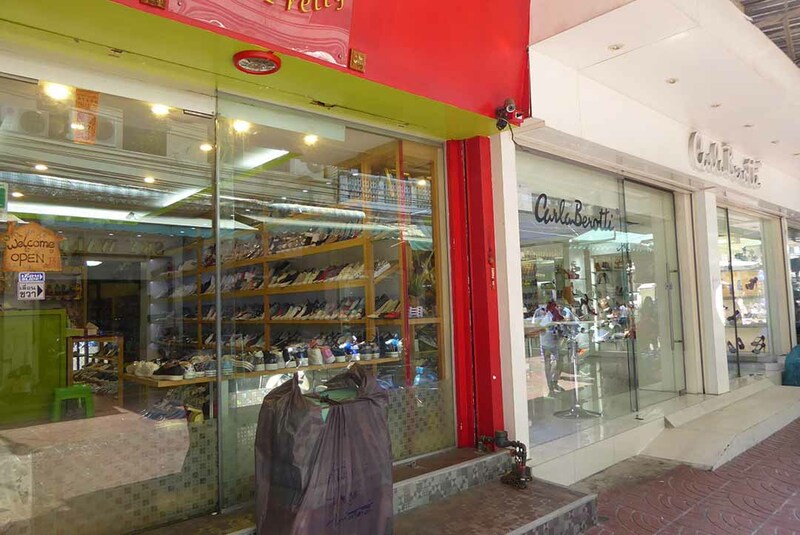 There are also shops selling sports shoes, trainers, beach shoes, sandals and more. 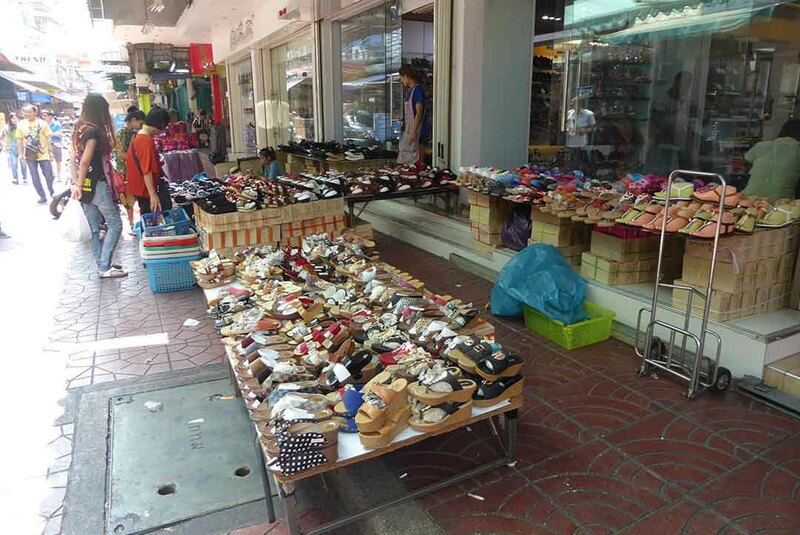 Unfortunately, most of the shops only sell wholesale with a minimum of ten pairs. Some shops will sell single pairs. Ask but be ready for disappointment. Prices start at a bargain 100 baht up to 300 baht plus. 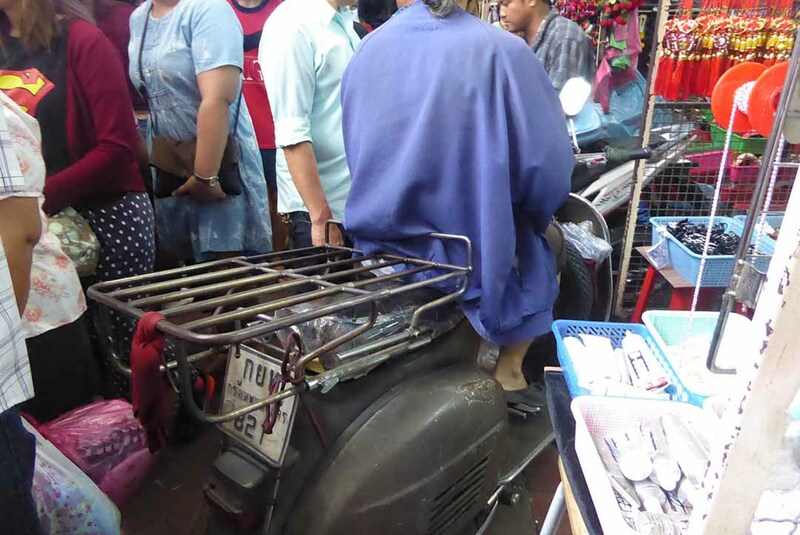 If you don’t like crowds, Sampeng is not the best place for you as its narrow alley is always busy and crowded and you will be jostling for space not only with people but loaded motorbikes picking up orders and food hawkers with their carts. If you’re hungry head up to Yaowarat road which has loads of cheap street food places, cafes, and Chinese restaurants. Come early and avoid the crowds. It’s most busy on Saturday/Sunday. Some places close on Mondays. Don’t come late as the shops start to shut between 16.00-17.00. 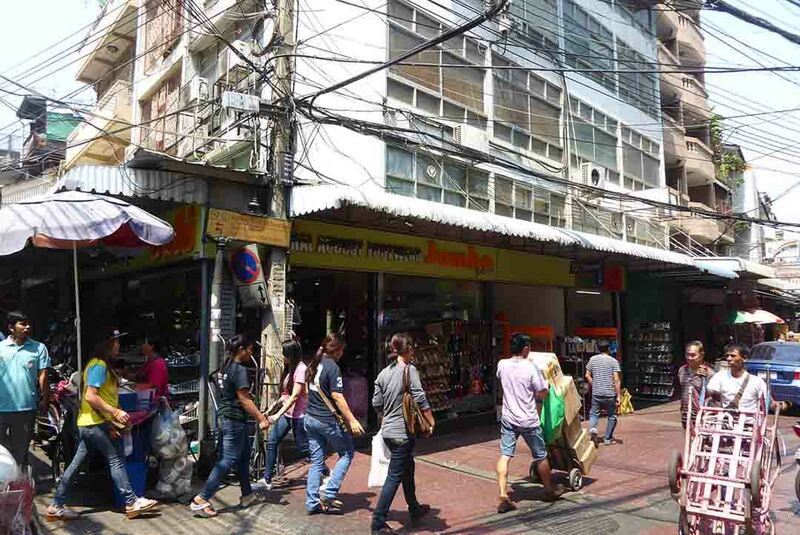 Khlong Thom and Phahurat markets are both nearby. The easiest way to get to Sampeng is to take the Chao Phraya Express Boat to Ratchawong Pier which is a 5-minute walk away. Location: Soi Wanit 1, Sampeng Lane & surrounding streets.